Unlock HTC ONE SV - Safe IMEI Unlocking Codes for You! Unlock HTC ONE SV Handset! In case your ONE SV doesn't ask for the code and there is no designated field to enter it, please DON'T PLACE ANY ORDER, contact us first for support. 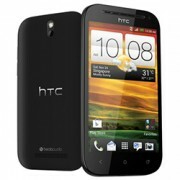 Are you looking to unlock your HTC ONE SV smartphone to use it with Any GSM SIM card worldwide? If yes, SafeUnlockCode can do that for you fast and easy! We are able to unlock the most GSM Carriers including AT&T, T-Mobile, Rogers, Fido, Bell, Telus, Vodafone, Orange, 3 Three and all other major service providers. How to Unlock HTC ONE SV Phone - Tutorial! Please find bellow a step-by-step guide to follow in order to unlock your HTC ONE SV mobile phone. Can I get a code for HTC one sv from France orange? Please help me unlock my HTC ONE SV handset from Italy Elsacom. Is the refunds available for codes that are not working>? Can you help me unlock my ONE SV smartphone from French Guiana, Orange? Can you help me with my HTC ONE SV its from Gambia Africell! Thanks for the codes. It's really effective! Great to hear that Marc! Thank you for your kind words! I have HTC ONE SV can you unlock it?It's from Poland Orange? I wondered if you can help me unlock my HTC ONE SV smartphone? Hi Meyer! Yes, we can help you to sim free your device. Please fill the form and the system will show you all the details needed. Thank you!